Orris Brown is a network engineer for 27 years and he is also a talented videographer of 17 years. 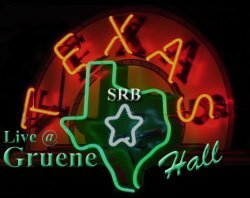 Through his label "LiveFromTexas Video Productions" he has filmed hundreds of musicians and spear headed large video productions like "The Texas Music Awards" for 6 seasons. Over his video career he has shot, produced and edited music videos of great performers like the Mama's & The Papa's, Michael Martin Murphy, Shawn Mullins and Judy Collins just to name a few. On Friday December 12th 2003 local radio celebrities Dean & Rog then of KKRW (now at KGLK 106.5 FM) cooked up a scheme to get "The Rocket" Roger Clemens to come out of retirement and play for the Houston Astros. They remembered that some time previous Roger Clemens had said that he could not come out of retirement because he would have to give his Burnt Orange H2 hummer back to the Yankees as it was a retirement gift. So Dean & Rog figured that if they could get a new Burnt Orange H2 to replace his retirement gift that Roger would would say yes to coming out of retirement and sign with the Houston Astros. 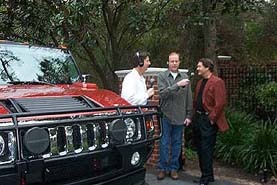 Orris had the exclusive opportunity to film this event and produced "Hummer For You" a music video with interview of Roger Clemens. The Texas Music Awards required top level technical experience as it was a 4 camera DV shoot with an 8 channel video mix console. Orris designed & configured the entire video production and ran the video mix console during the show. The production was viewed live on big projection screens and required inserting certain commercials into the production for viewing in the theatre. To the right is a trailer clip from 2006 which showcases several artists, noteably Michael Martin Murphy doing parts of 3 songs (Wildfire being last) near the end of this clip. 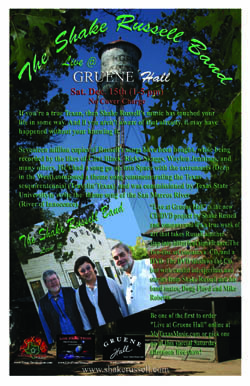 There are no struggles or tentative engagements in his performance, and he all but channels John Vandiver when singing “Comin’ Home.” The videography is as good as it gets inside Gruene Hall, but Orris Brown of LIVE FROM TEXAS captures the Shake Russell Band in a manner that will stand as an archive for all time. 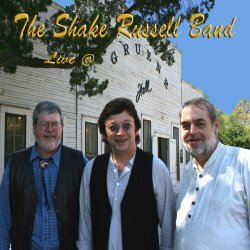 Who knows where technology and the delivery of musical performances will take us in the future, but know this: Shake Russell’s “LIVE AT GRUENE HALL” has historical significance, and will certainly be used hundreds of years from now to teach mankind of the talent that is today, the attitude that is Texas.